“KNOWLEDGE IS THE FIRST STEP in making an informed decision. And a decision to have hair restoration surgery is a very personal one. I make it a point to take all the time necessary to listen to you and provide knowledge and experience that will help you through your decision in a private, unhurried setting. “Our appearance plays a major role in our lives. Our careers, self-esteem, relationships, friendships and circle of influence are all impacted, in some way, by our appearance. Our self-perception of a pleasing, youthful appearance can give us confidence and make us feel better about ourselves. “I support each patient in making their decision with an informative process that includes a thorough discussion of the available options. Early in his medical studies Dr. Sanders knew he enjoyed cosmetic surgery — especially in the difficult area of the face. During medical school he was elected to the Alpha Omega Alpha Honor Medical Society for his academic achievements and participated in basic science research in the department of Physiology. He graduated from medical school with honors in 1995. After completion of medical school Dr. Sanders began a six year residency position in the very competitive field of Otolaryngology-Head and Neck Surgery. He worked with an excellent faculty at Louisiana State University Health Science Center in Shreveport, including Cherie Ann O. Nathan, M.D., FACS. Dr. Nathan is a widely published Head and Neck cancer researcher and surgeon. Throughout his residency Dr. Sanders was able to travel to national meetings and present his research and writings on head and neck surgery to other physicians in New Orleans and San Francisco. Dr. Sanders served as Chief Resident of the Head and Neck service before completing his residency in 2001. Nearing completion of a six year residency in Head and Neck Surgery, Dr. Sanders was sure of his love for Facial Plastic and Reconstructive Surgery. He chose to apply for one of only 39 positions that exist to sub-specialize in this field. Fred J. Stucker, M.D. took Dr. Sanders as a Fellow in 2001. Dr. Stucker is a world renowned Facial Plastic Surgeon and a pioneer in the field. 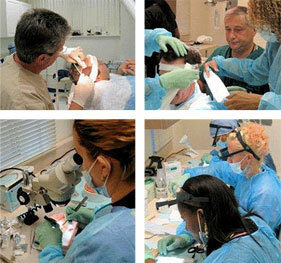 This intensive year-long study of only Facial Plastic and Reconstructive Surgery was completed in 2002. During this fellowship he participated in the initial studies to have Botox FDA approved for cosmetic use. Dr. Sanders is Board Certified in Facial Plastic and Reconstructive Surgery by the American Board of Facial Plastic and Reconstructive Surgery. Dr. Sanders is listed on the Facial Plastic Surgery website at AAFPRS.org. 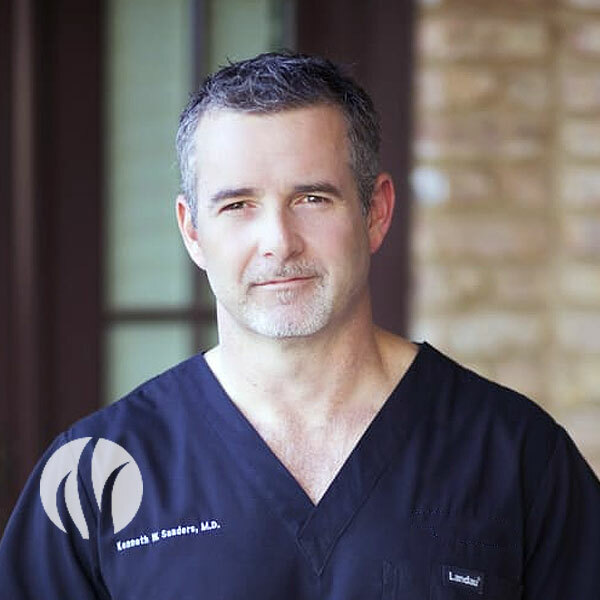 Doctor Kenneth Sanders is a Board Certified Facial Plastic and Reconstructive Surgeon who has special interest in cosmetic surgery of the face, head, and neck, as well as hair restoration surgery. Interests outside of his work include automobile and motorcycle racing, golf, and home electronics. Dr. Sanders entered medical school in 1991 at Louisiana State University Medical Center in Shreveport. He was one of few who are chosen to be accepted to medical school prior to receiving a Bachelors Degree. His undergraduate studies were completed at Louisiana College in Pineville, Louisiana. We want to help you find the hair loss solution that is right for you. Fill out our form to get started with your free, private consultation. Restore your hair. Restore your life. Book Online Now. © Copyright 2018 North Mississippi Hair Loss Solutions. All Rights Reserved.